Simple Admit: Your Patient Engagement Solution. Engage, enable and empower your patients from pre-admission through post-visit care. 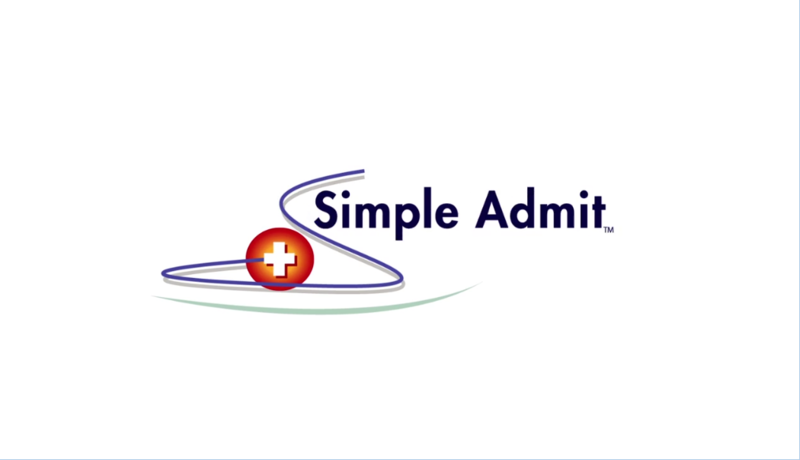 Simple Admit offers medical facilities a customized suite of online services that improve efficiencies and cost savings from pre-admissions through post-op care. We provide best-of-breed patient engagement solutions to streamline your current workflows. If you are stumbling through piles of pre-admission paperwork or patient satisfaction surveys, we can help you transition from paper to electronic. If your nurses are struggling with hours of pre-op phone calls to patients, we can make the calls for you or patients can submit their data online. If you are buried under insurance claims, or behind on collecting patient payments, we can make those jobs easier and faster. No matter how you do business today, we have a number of integrated solutions that can improve workflows for a return on investment within 60 days. Simple Admit is an innovative, web based service that encompasses all aspects of patient pre-visit screening and registration. We offer the highest level of customization to reflect your procedure types and patient demographics. Simple Admit empowers your patients to go online and submit all of their health history, demographic, and insurance data in a secure manner, when it’s most convenient for them. Staff members at the facility can securely report, edit, manage, print or export the patient data into an EMR. Simple Admit has proven strategies that work, including 24/7 customer service. That is why we have earned the highest online patient participation average nationwide at 71 percent. Offering patients the convenience and security of an online pre-admission process gets nurses off the phones and back into patient care, which improves staff and patient satisfaction. Our facilities report fewer medical errors and a large reduction in operating room cancellations, resulting in substantial cost savings. Simple Assist breaks new ground in the medical industry as a unique service, offering patients the option of completing pre-visit screenings and registration via the phone. For the percentage of your patient population who are either unable or unwilling to go online to complete a web form, we provide a custom pre-op call service that allows you to offload all or some of those patient screenings to our HIPAA-trained specialists. Our staff takes care of the phone calls and data collection into your customized forms so that the patient’s information is ready and waiting for your nurses when they need it. 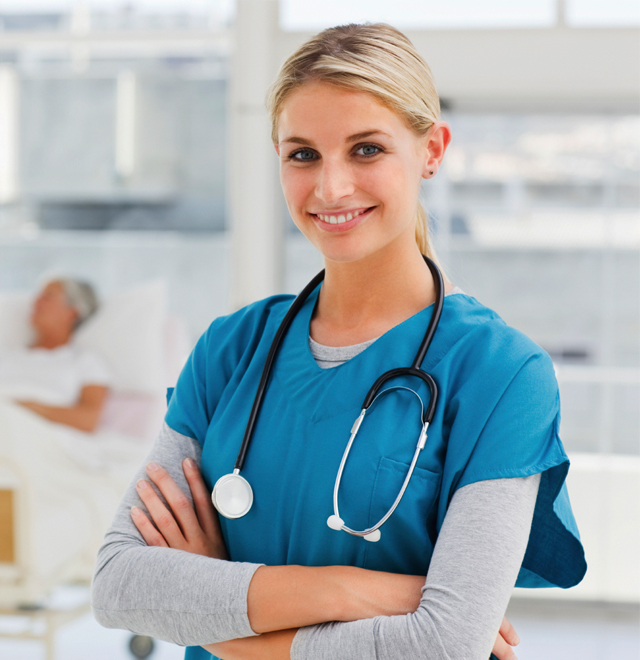 Upon completion, each screening form is available in real time through the Simple Admit web portal for nurse review, editing, printing, or export back into your EMR. Our automated patient call system ensures that your patients receive the right information at the right time. The patient call or text messaging can be used to remind your patients to complete their screening form online or to call our Simple Assist call center to complete their registration. Patient call and text reminders can be used a number of different ways. Some facilities use the automated reminders a second time to give another prompt to complete a pre-screening form or to remind patients about their appointment. Simple Contact is just one of the ways we can help you achieve the highest level of patient compliance possible. As higher co-pays and more pay-for-service options become available to patients, payment portals are becoming increasingly necessary for medical facilities. SimplePay enables you and your patients to share important information about insurance coverage, billing, co-pays, and payment options through a secure, HIPAA­compliant process that couldn't be easier to manage. With just a few clicks, you can notify patients about their financial responsibilities. Then, patients can make pre-visit payments with a credit card or through customized payment plans. This has proven to increase cash collections and reduce bad debt write-offs for medical facilities nationwide while putting patients in control of their financial obligations. We offer an exclusive solution just for staff so their queries can be addressed expeditiously through a dedicated customer service and technical support line. Simple Admit offers extended hours of patient support. We are there when patients need help during business hours and beyond, reducing phone calls and staff interruptions for you. Our in-house Patient Support Specialists are HIPAA compliant and trained to address patient questions pertaining to passwords, instructions, facility contact information, and general patient queries when needed. For more technical questions regarding browser issues and form assistance, our team of System Specialists is available to offer a more comprehensive level of support. Simple Admit and RMS Research and Marketing Strategies together deliver the most affordable and advanced process for OAS CAHPS certified surveys. Simple Admit is the industry leader in patient engagement systems and RMS has been recognized as one of the top patient satisfaction measurement firms in the country by Modern Healthcare. No two companies will be more dedicated to your success. Through our innovative platform, patient data is securely collected and automatically transferred from Simple Admit to RMS for certified OAS CAHPS processing, which means ASC staff do not have to collect or upload any patient information to a survey vendor. This streamlined, HIPAA-compliant process is the most cost effective and efficient available, which saves you time and money. We will walk you through the necessary survey steps and manage the process for you. It’s as simple as signing up then waiting for the results. If you prefer a more hands-on approach, we provide a portal with 24/7 access to survey scores and detailed quarterly reports with recommendations for improvements. We also have an RMS consultation team ready to help you understand all the survey data, leveraging their 15 years of patient survey experience to help you improve your scores and quality of care. With the 2018 OAS CAHPS requirement fast approaching, let’s get started now! With the requirements for satisfaction surveys moving toward a more thorough and transparent process, paper surveys will become more cumbersome and costly. Simple Admit offers an integrated, electronic, customized survey that is automatically sent to all patients. Simple Surveys are fully integrated within the Simple Admit environment so you can send out surveys with the click of a button. Patient responses are available in real-time, so you can review feedback about their experiences. Administrators can receive alerts from patients who might have responded negatively to a question to allow for immediate service recovery. You can also access and download patient data and responses anytime. Patient analytics, trending, and benchmarking are presented in a graphical report. Simple Xpress is a convenient, secure, and personalized online patient registration process. If your staff struggle with collecting accurate and timely insurance and demographic information, SimpleXpress is the affordable solution you need. Our customized forms and processes can be setup to meet the unique needs of your facility and patient populations. Staff can communicate effectively with patients through customized emails and automated messages, while reducing phone calls..